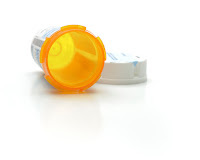 Recycling Works: Do Pharmacies Reuse Medicine Bottles? You may tell a pharmacy that the medicine bottle that you’d like to reuse is clean, but they have no specific way of knowing for sure and can be held liable for issues caused by cross contamination. Prescription medication bottles are generally #5 plastic. Most larger recycling centers accept, and even bale, #5 plastics. The ideal solution would be to reuse medication bottles or take them back to the pharmacy for reuse by someone else. Secondary would be recycling them at your local recycling center. If neither of these options is available, there are reuse options available for things other than as a medicine bottle. You must have probably taken a lot of steps to recycle everything you can at your home or business to make your living and work space environment-friendly. You may have been placing the hazardous waste in a different container, solid wastes in a different container, and other wastes in a separate container so that they can be easily categorized and disposed of effectively.